1000 years in the future, a mutant criminal, Ransik is captured and sentenced to be cryogenically frozen. But he manages to escape as he and his followers make their way to a time ship. The Rangers have found someone who looks like Alex, Jen tries to persuade him to use the morpher, once so they can unlock the other morphers. Wes witnesses a bank robbery by some mutants and tries to help. Wes offers the Rangers a place to stay. A clock tower that his father owns. Yes i will upload the complete series of both Lost Galaxy and Time Force. After completing the Lost Galaxy episodes. Sure, i am recording it right now. Sir please upload more episodes. And also upload all episodes of Power Rangers Lightspeed Rescue (Power Ranger Series of year 2000). 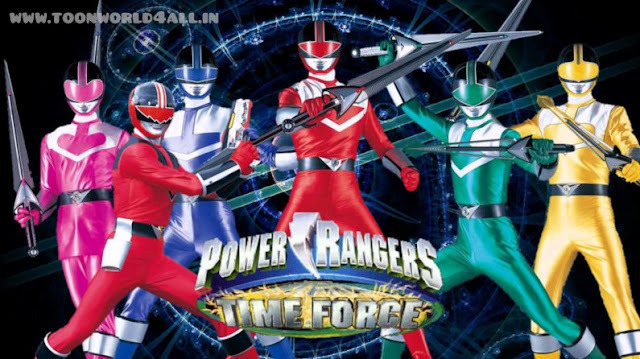 Please upload all episodes of Power Rangers Time Force ASAP!! I'm waiting bro.